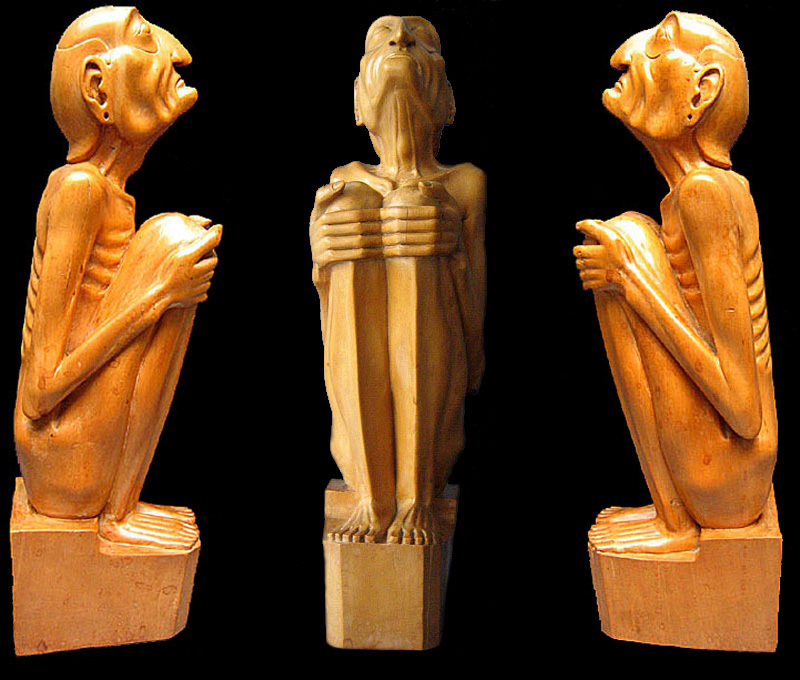 Very unique and special woodcarving from I GEREMBOEANG, representing the moment between life and death. Acquired in 2008 by the "TROPENMUSEUM", Amsterdam. Extra photo's are supplemented of an article from Rudolf Bonnet published in a 3-monthly magazine in 1936. There are photo's of the cover of that magazine, photo's of the GEREMBOEANG artwork next to this article, and photo's from the article with personal comment of Rudolf Bonnet about this particular artwork from I GEREMBOEANG.